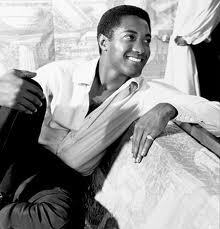 The gorgeous and talented Sam Cooke would have been 80 years old today. There will likely be a hearty mix to follow, but until it gets posted, here's a demo version of "You Send Me" that I found a couple of years ago. It's since become my favorite recording of his. i would really really appreciate the mp3. thanks!! Would be happy to! And thanks for reminding me that I still need to post a Sam Cooke mix.